ICDI became interested in economic development because we have seen families who face financial challenges because there are few jobs in the region and farmers have little financial margin while living from one harvest to the next. The Costa Rican government reported that Chirripó is among the least socially developed districts in the country. One factor for their status is low economic development in the region. To address this problem and to help families, ICDI started the Microloan and Entrepreneurship Projects. We provide loans and other support to individuals who want to expand their farm or business or for individuals or small groups who want to start a new business. In 2010 ICDI started providing low interest loans to farmers and small businesses to enable them to expand and obtain maximum value from their skills and assets. Both men and women in the area have received our low-cost loans and, we refer to them as partners. Farmers primarily borrow money for purchasing livestock, clearing land, planting, and maintaining and harvesting their crops. They can use funds to pay workers, or even themselves. 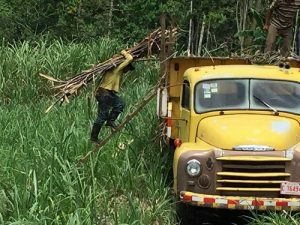 This is an important component of ICDI’s program as it enables partners to dedicate time to their farms and have sufficient cash flow to support their families until harvest. There are traditional bank loans available in the region, but it is difficult for small farmers and business owners to meet their requirements and for banks to be flexible enough to work with individuals who need a little cash to expand their farm or business. Banks offer loans at interest rates well above 20%. They require collateral and monthly amortization, causing farmers to borrow much more than needed so they have funds to make the first several months of payments before their crops are harvested. In contrast ICDI’s microloans are uncollateralized, have a low interest rate (8.5% or lower), and we make concessions on loan payment dates depending on when the harvest is ready. The loans are structured as personal loans from Dr. Alekcey Murillo, one of ICDI’s directors and one of the directors of Project Emmanuel. This eliminates the need to create a community bank and saves ICDI significant legal costs. Also, personal loans are more likely to be repaid in this culture than bank loans, as none of the partners wants to default with someone who lives in the community. Those holding loans view themselves as true partners, and they protect the partnership, recommending those who have shown themselves responsible in maintaining their land to receive loans. To date most loans are paying and all interest earned is reinvested to provide future microloans. In 2011 the program reached a critical juncture where new loans can now be funded by repayments from partners on previous loans. This means the program has reached an important self-sustaining point. Through August 2017, 84 loans have been made in aggregate of $183,000, and we have had to charge off 4 loans. Local banks charge 12% interest rate per month, so ICDI began our micro lending project with low-interest loans (8.0% or per year or lower). As of May 2015, 50 loans totaling $92,000 have been taken out by local residents. A major program of ICDI is providing microloans to farmers and small business men and women in the area. About 25 loans have been made in aggregate of $35,000. Most of these loans went to farmers, others were made for expanding or starting small businesses. The loans are provided at low interest rates (8.5% or lower), compared to rates well above 20% from banks in the region. In early 2011, officials from the Costa Rican Department of Agriculture visited this area and expressed amazement at how much better maintained the farms were compared to their last visit. When they asked the farmers the reason for this transformation, the farmers replied with great pride that it was the agribusiness partnerships (microloans) through ICDI that enabled them to improve their farms. 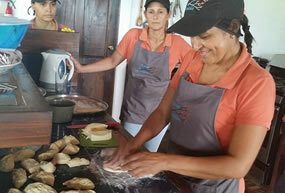 Four women from the community are 50% owners in the Mirador Aroma de Montaña Restaurant. They invested hours of “sweat capital” and ICDI provided the seed capital for construction and operating funds. After 2 years of preparation the restaurant opened in February 2016. They have the seating capacity for 40 and are already looking at expanding their facilities to be able to host larger groups for meetings. Greivin left our region after high school, attended a technical school, and had a successful career in the city as an auto mechanic and salesman at an auto parts store. In 2016 he moved his family back to the mountains where he and his wife grew up. With a loan from ICDI, Greivin has opened the largest mechanic shop in the area. 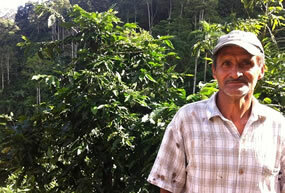 Indigenous Community Development International (ICDI) started a microloan program in the remote mountains of Costa Rica. 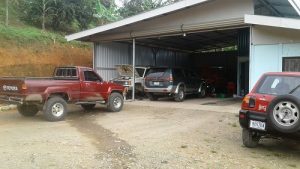 This is the story of one of our partners, Greiven, who opened a mechanic shop.